When your divorce is over and the dust has cleared, you may think your need for an attorney has ended. Thing again. There are circumstances that make it wise to keep a post-judgment lawyer’s phone number handy. If, for instance, your divorce agreement provides for alimony, it may need to be modified or terminated at some point in time. An alimony agreement can be modified or terminated when the circumstances that were present at the time of the divorce agreement have substantially changed. There are several reasons this may happen. If you're paying alimony but have recently experienced a significant decrease in income, you may be able to have your alimony modified or terminated. A divorce attorney can petition the court to reduce or eliminate your alimony payment if your income has decreased to the extent that paying it results in a substantial burden for you and your family. You will, of course, be asked to document your income change for the court, so save pay stubs and other documentation to bring to your attorney. The court will want to know whether your reduction in income was voluntary or involuntary (such as if you were terminated or laid off from your job). If you were laid off, you will have to show the court documentation illustrating that you have made significant efforts to find a new job at your prior earning level. Bear in mind, however, that based on the recently modified alimony statute in New Jersey (N.J.S.A. 2A:34-23), your petition for a modification/termination of alimony due losing your job can’t be filed with the court until 90 days have passed since you have lost your job and/or are unable to earn income at your prior income level. If your ex-spouse is receiving support from you but gets a promotion or substantial raise, you may be able to alter your support agreement. Alimony is meant to offset drastic differences in earnings or earning potential between two spouses who are divorcing. If your spouse is now making or otherwise receiving more money than at the time of your divorce, you may want to ask the court to reexamine your alimony obligation. 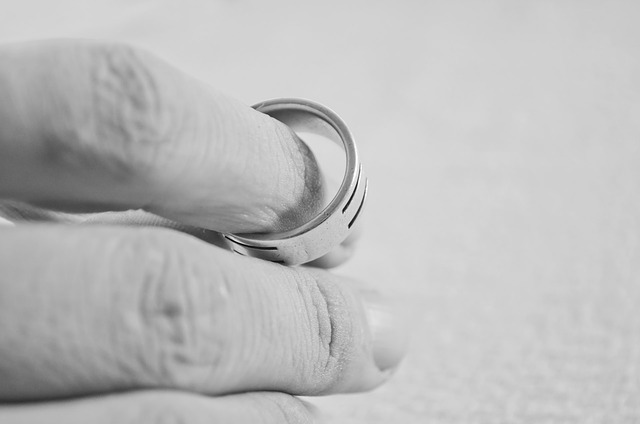 If your former spouse remarries, your alimony should be terminated. If your former spouse opts to move in with a new romantic partner, your obligation to pay alimony may be terminated or modified. You should continue paying under your original agreement unless and until the court says otherwise so it is imperative that you contact a divorce attorney right away. Even if the previously mentioned circumstances don't apply to you, others might. In some instances, the court has modified alimony because the recipient of the support has not made a good faith effort to support themselves. In other cases, a newly incurred illness or disability has made it harder for person paying support to make the payments. Your divorce agreement may also set forth other circumstances that would warrant a reconsideration of alimony. If you feel your situation has changed and a change to alimony should reflect that, don't hesitate to consult with an attorney before going to court. At Ruvolo Law Group, LLC, we're happy to meet with you and discuss your case. We can advise you as to whether or not your situation warrants a modification or termination and will fight to ensure you receive relief if it does.